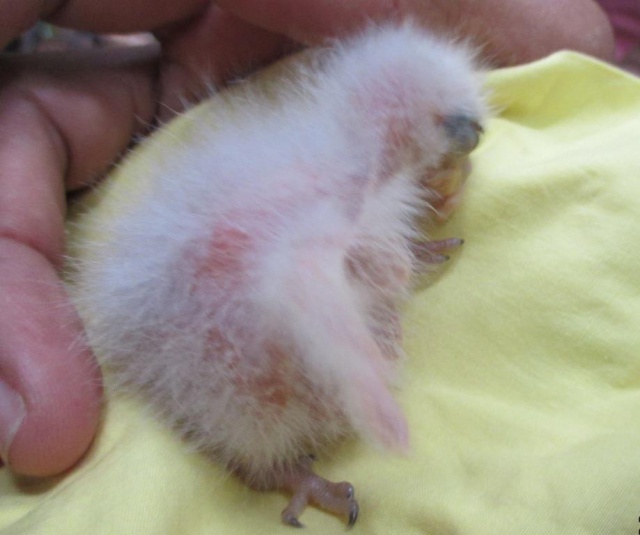 (Seychelles News Agency) - As the northwest monsoon in the Indian Ocean Island of the Seychelles enters its third month, a handful of fluffy white-feathered chicks will start their ever-continuing battle for survival in the UNESCO World Heritage site of Vallée de Mai, located on the second most populated island, Praslin. The awkward little chicks with their bulging eyes, huge beaks and baby feathers are seen as tiny steps towards the conservation of a rare endemic bird facing an uncertain future in its isolated territory. It is estimated that there are only 520 to 900 parrots living on Praslin, one of the 115 islands of the Seychelles archipelago. Although proudly recognised as the national bird of the small island republic, the species has been benchmarked globally on the Red List of the International Union for Conservation of Nature (IUCN) as vulnerable. 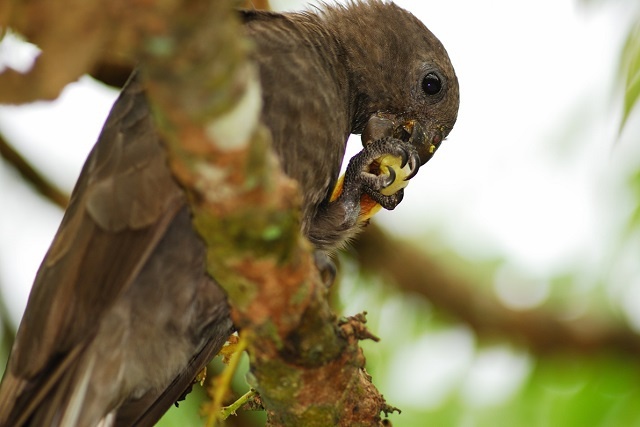 News of the hatchlings of the black parrot was posted recently on the Facebook page of the Seychelles Island Foundation, SIF, which manages the UNESCO site. According to SIF’s communication officer, Rowana Walton, 12 of 39 black parrot eggs have hatched so far, but sadly, two of the chicks have already died. The team is now waiting to see how many of the 17 remaining eggs will hatch. The black parrots’ nests are hidden in the pristine palm forest of almost 19 hectares of endemic plants, and their nesting sites of choice are usually hollowed-out trunks of dead coco-de-mer palm trees which grow naturally in this shady, moist valley with its red, nutrient-rich soil. “The team have recorded signs of predation by Mynah birds on Black Parrot chicks (through puncture marks seen on dead chicks in nests), and [they] have also been seen occupying nest cavities that are used by Black Parrots,” said Walton. 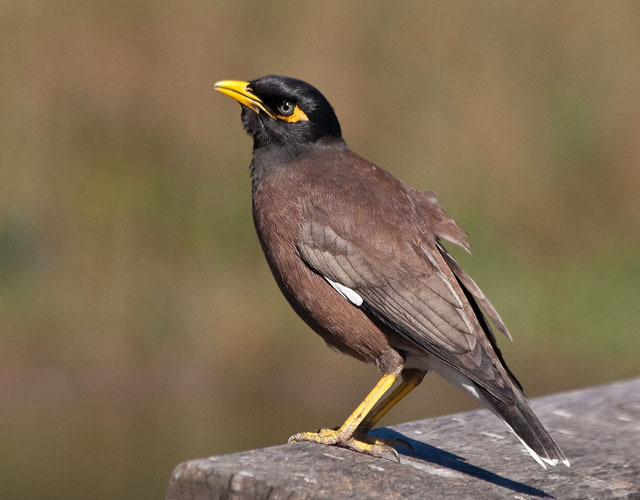 SIF posted on its Facebook page that they are in the process of conducting a survey to determine if the population of the Mynah birds have increased in the Vallée de Mai and “if any control needs to be undertaken”. 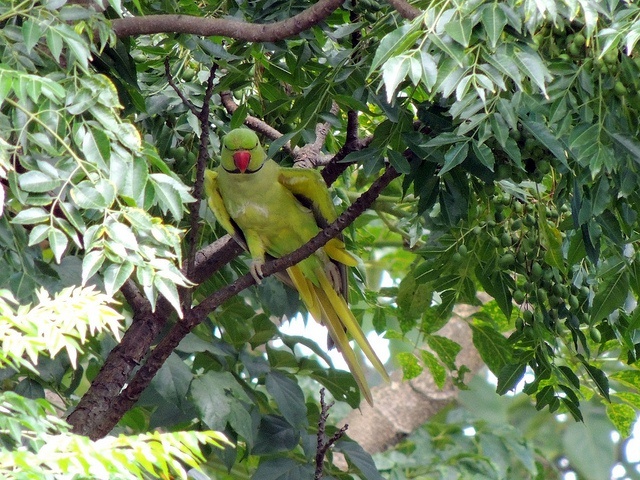 Another invasive bird species, the ring-necked parakeet, which is known in Creole as the ‘kato ver’, is also a cause of concern and authorities have recently stepped up their efforts to contain the species on the most populated island, Mahé. The team is expected to return to Praslin in mid-January. In the meantime, anyone with information on ring-necked parakeets, either on Praslin or Mahé, are being asked to call SIF on 2523623.